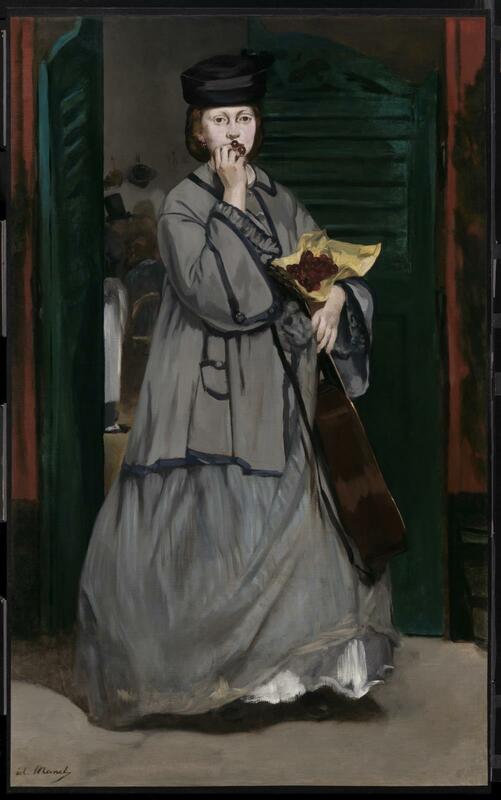 Manet was inspired by the sight of a woman with a guitar emerging from a sleazy café. 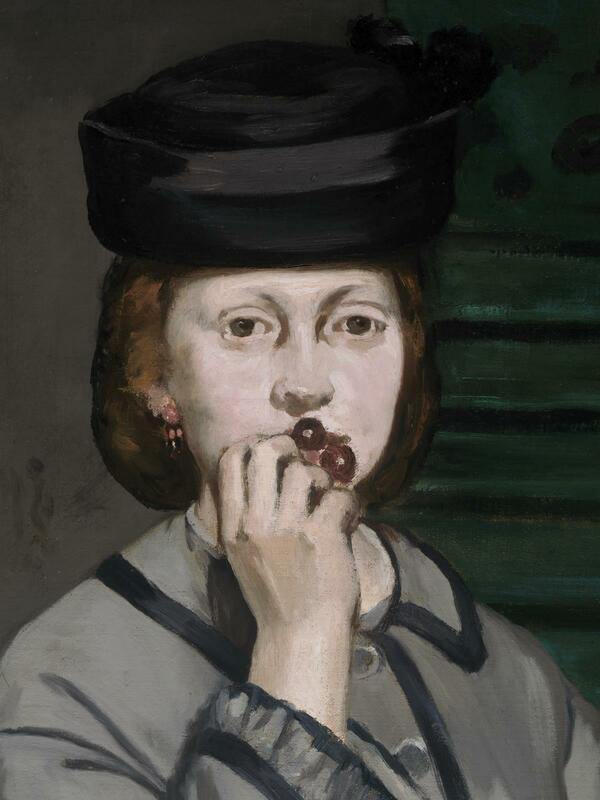 She refused to pose for the picture, so Manet employed his favorite model of the 1860s, Victorine Meurent. The style and subject matter seemed crude to academic critics when the painting was exhibited in 1863. 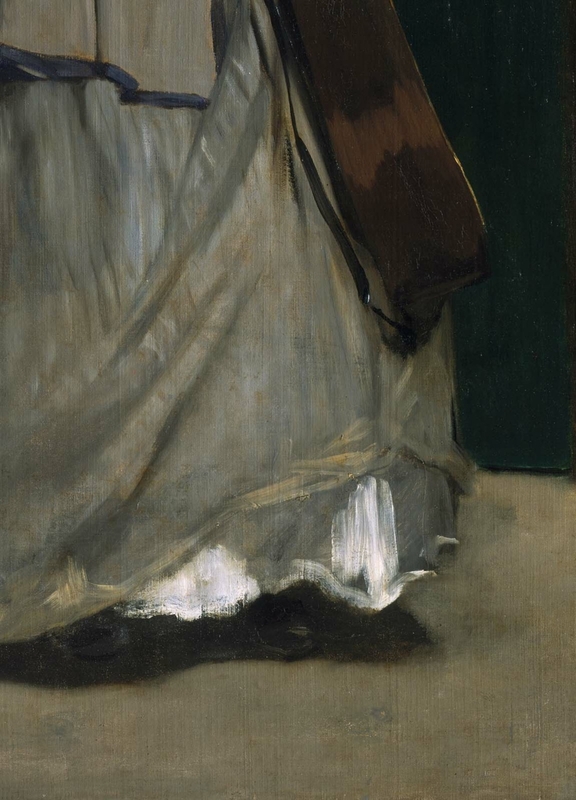 But Manet’s friend, the novelist and critic Emile Zola, admired its formal beauties and its apparent confrontation with real life. Ernest Hoschedé, a Parisian department store magnate, was a friend and important patron of many of the Impressionists. His sale in 1878 was the result of bankruptcy. For the results of this sale, see Merete Bodelsen, "Early Impressionist Sales 1874-94 in the light of some unpublished 'procès verbaux,'" Burlington Magazine vol. 110, no. 783 (June, 1968), pp. 339-40. Lionello Venturi, "Archives de l'Impressionisme: Lettres de Renoir, Monet, Pissaro, Sisley et autres. Mémoires de Paul Durand-Ruel. Documents" (Paris and New York, 1939), vol. 2, p. 191. Paul Durand-Ruel recommended the painting to the Havemeyer family on February 3, 1899; they did not acquire it, and Mrs. Sears purchased it thereafter. See Alice Cooney Frelinghuysen et al., Splendid Legacy: The Havemeyer Collection (New York, 1993), p. 225.